Traditionally used by financial institutions as a way of mitigating risk when authorizing loans, lending out money or opening new credit accounts to a borrower, the “Five C’s” acted as a helpful mnemonic device for evaluating someone’s likelihood of defaulting. But they’re not just for big financial institutions. There is some usable wisdom here for small businesses, as well. The Five C’s are meant to be, together, fairly reliable predictors of someone’s ability (or inability) to pay their debts, or the interest thereon. Obviously, that should have crossover appeal to just about any business looking to deter delinquent debtors. We’ve listed the Five C’s here, taking care to try and make each factor broadly relatable to most businesses. And, because this is our collection blog after all, we have added a sixth “C” to the equation – a “C” that you can rely on when all the other C’s fail (hint: a debt collection agency is involved). Here, without further ado, are the Five C’s of Credit. You want a lender who’s responsible, credible, trustworthy, and who has a proven financial track record – you want someone with good “Character”. Banks evaluate this through references about a lender, reports on a lender’s interactions with financial institutes, and the track record a lender has in paying off their debts. Businesses can do this in much the same way, by asking around about a client or customer’s trustworthiness, and their track record with payment. Does a prospective client have a nasty reputation for paying late, avoiding phone calls or frequently misinterpreting the agreed-upon terms of a contract? You might want to consider, then, the risk of offering goods or services upfront. While Character deals more with “willingness”, Capacity is more concerned with “ability”. A borrower might have great character – an impeccable track record in the past with paying on time – but if they currently do not have the debt service required to pay off a debt, then their character means very little. For this reason, Capacity is often regarded as one of the most – if not the most – important of the Five C’s. Usually, a borrower’s monthly debt, divided by their gross monthly income and multiplied by 100 will give you their Total Debt Service Ratio, which indicates their capacity. With B2B relationships, it’s not really that easy. You can request a credit card report or simply look at the extravagance of the business’ spending (new office, over-staffing, etc.) versus what you believe they make as income, and submit concerns about their capacity based on that. Usually a down payment, Capital measures the extent to which the borrowing party is already invested in the deal. Ok, so that’s a little bit of a generalization, but for our purposes, it should serve as an adequate way of understanding capital. To think of capital in terms of a business deal, think of the extent to which the indebted party is invested in the deal. Have they put money upfront? Is the success of their business contingent on the fulfillment of the deal? It’s not a perfect way of evaluating someone’s ability to pay, but it is worth considering. Collateral is defined as any added insurance a borrower can give that they will pay their debts. With business B2B deals, this isn’t really a viable option, especially not with first-time clients, who expect goods or service on credit without anything upfront. You can, however, have a client sign a personal guarantee, a legal document promising to repay issued credit personally in the event that the business cannot. This can be viewed as a personal form of collateral, and can act as a pretty potent deterrent to delinquency. The conditions of a loan are all the nitty-gritty details of the agreement, including timeline, interest rate and purpose of the loan. A bank is more likely to issue a loan if they know it’s for a specific purpose, rather than just a general signature, and they want to that concrete conditions are in place for repayment. That last part is just as true for B2B deals. Try and make the terms of your agreement as clear and mutually understandable as you possibly can. Set a clear deadline for payment, as well as clear instructions for how to pay. The more straightforward and explicit your conditions are, the better chance you will have at collecting money on time. Alas, you can do everything right in issuing a credit, but still, come up empty-handed. The sixth “C”, therefore, is Collection. Earn your business a reputation for collecting money, and you will have no problem issuing credit in the future. Partner with Summit A*R, where we can work as either third- or first-party collection agency, and ensure that you collect any outstanding debts. Get in touch today and learn first-hand about our PHD philosophy – Preserving Human Dignity. Every case we take on, we approach with diplomacy and professionalism. As a business, you want the money owed to you, but you don’t want it at the expense of frayed client relationships. That means that an important part of our job, as a collection agency, is diplomatically dealing with your clients. Further, then that, we strive to be as open and transparent as possible with our clients. We will send you monthly reports on the progress of your case, as well as provide an open line for you to call in case you ever have queries. Our customer portal also lets you track the status of your account easily and quickly. Any time a business offers another business goods or service without payment up front, that’s a credit. It benefits your business, therefore, to treat it as such. These Five C’s of Credit may not have all the solutions to your particular credit woes, but there is a lot to learn here. 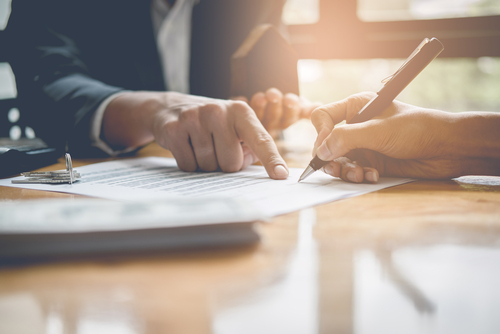 If nothing else, they stress the importance of evaluating a client before you enter an agreement, as well as the importance of setting up advantageous terms.